Here is a brisk, accessible, and vivid introduction to arguably the most important event in the history of the United States--the American Revolution. Between 1760 and 1800, the American people cast off British rule to create a new nation and a radically new form of government based on the idea that people had the right to govern themselves. 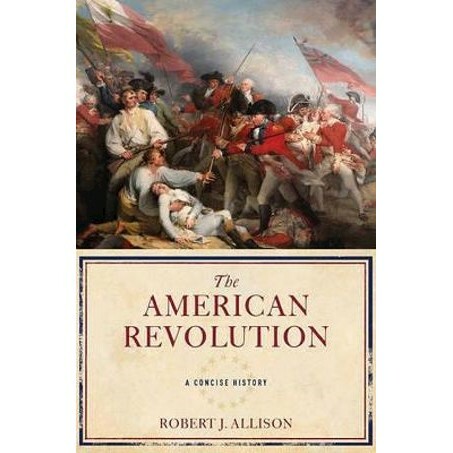 In this lively account, Robert Allison provides a cohesive synthesis of the military, diplomatic, political, social, and intellectual aspects of the Revolution, paying special attention to its causes and consequences. The book recreates the tumultuous events of the 1760s and 1770s that led to revolution, such as the Boston Massacre and the Boston Tea Party, as well as the role the Sons of Liberty played in turning resistance into full-scale revolt. Allison explains how and why Americans changed their ideas of government and society so profoundly in these years and how the War for Independence was fought and won. He highlights the major battles and commanders on both sides--with a particular focus on George Washington and the extraordinary strategies he developed to defeat Britain's superior forces--as well as the impact of French military support on the American cause. In the final chapter, Allison explores the aftermath of the American Revolution: how the newly independent states created governments based on the principles for which they had fought, and how those principles challenged their own institutions, such as slavery, in the new republic. He considers as well the Revolution's legacy, and the many ways its essential ideals influenced other struggles against oppressive power or colonial systems in France, Latin America, and Asia. Sharply written and highly readable, The American Revolution offers the perfect introduction to this seminal event in American history.